Beehive Parent Child Center hasn't added a story. 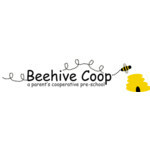 Beehive Parent Child Center is a very special preschool which uses a cooperative model for supporting and educating 3-5 year olds along with parent and teacher workers. The school has been independently operating as a non-profit since 1973, in the same building on the campus of West University Elementary, but the school facilty is aging and needs increasing maintanence to provide a safe and enriching environment for learning. In addition, the school would like to have a professional video made to help promote the school and clearly share the mission it is fulfilling. This is a wonderful time to work on this project, as the founder of the school is currently in touch and would be a valuable resource to document the school’s history and provide prospective on the timeless educational themes embodied by the play focused, cooperative preschool model. Help us protect and grow this valuable education resource for our community. Your contributions will help us continue and expand the invaluable work Beehive does with young children. Thank you for believing in us and for investing in the future of the children in your community! Beehive Parent Child Center hasn't posted any updates yet. Beehive Parent Child Center is managing the funds for this campaign.